On Tuesday evening, the first match of the knockout stage in the Europa League will take place! Fenerbahce and Zenit St. Petersburg face two equal top clubs. Accordingly, Fenerbahce Vs. Zenit St. Petersburg according to the odds no clear favorite to recognize. The “canaries” from Istanbul have struggled this season to even find their tracks and are lucky that they are still in the Europa League. Zenit, however, has a mixed group stage in the Europa League behind and plays in the national competition for the championship. Before moving on to the Russian Premier League at the beginning of March, the full focus is on the duel against Fenerbahce. Sergey Semak wants to make his team in Istanbul already a promising location. If this succeeds or is at Fenerbahce vs. Zenit St. Petersburg a prediction in favor of the guests but unlikely? Neither Fenerbahce or Zenit St. Petersburg are playing strong this season. The quality in the squad, however, is undisputed at both clubs. 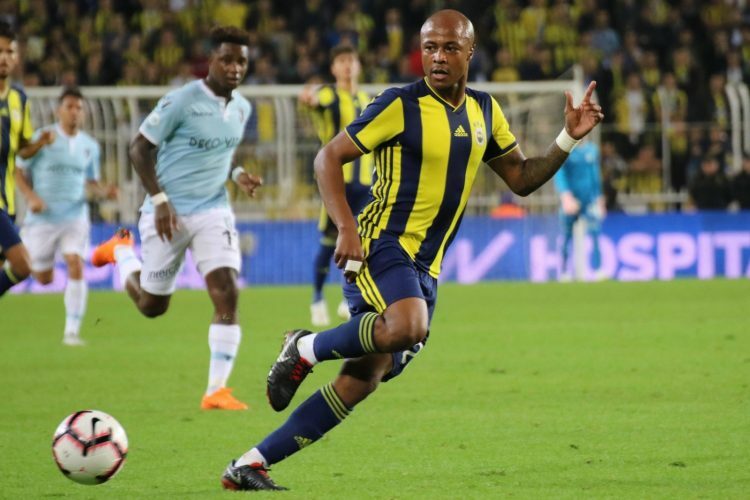 With Ersun Yanal Fenerbahce was able to get an old acquaintance back into the boat, which could certainly provide for changes since his debut, especially in the offensive game. The top Russian club will demand everything from Fenerbahce. With the strong support of home fans, Fenerbahce can count on the twelfth man. Fenerbahce vs Zenit St. Petersburg waving odds of 2.60 to a home win. Already in the last season, the big change in the “canaries” started, as Ali Koc announced that he would participate in the election for the new club president of Fenerbahce. The euphoria under Koc has been gone for a long time. At the beginning of the season with Comolli (sports director) and Cocu (coach) started in the new season, it went steadily downhill. Very happy, but also deservedly deserved, Fenerbahce succeeded in the knockout phase of the Europa League – and despite the miserable season at the national level! In the Turkish Cup Fenerbahce retired against a second division, in the Süper Lig was wintered on a relegation zone. Since Ersun Yanal took over the team, things are uphill again. However, the dress rehearsal before the Europa League first leg defeated Fenerbahce. On Friday, despite superiority at Kayserispor was lost. At least the performances in front of a home crowd were very promising. The recent two home games Fenerbahce could win and scored five goals. However, the “canaries” still have to work on the defensive susceptibility. Fenerbahce have conceded at least one goal in six of their last seven matches (all matches). Away goals are known to be worth gold, which is why Zenit will do everything possible, one of the “Canaries” einbringen. In the last two home games Fenerbahce convinced especially in the offensive. In total, scored 32 times in two home games, Fenerbahce also had more than 60% possession of the ball. The game control should also remain in the game against Zenit at the “canaries”. With Ciftpinar, Moses and Arslan three more players have been nominated for the current Europa League squad. Many players could not consider Ersun Yanal due to the regulations, including Miha Zajc (new signing of Empoli). As in the Süper Lig, Jailson will play the game in a duel with Arslan in defensive midfield. In the top is probably forced to put on Slimani, which presented itself in the recent games but rather weak form. A big advantage will be the domestic support – but will this be enough to whip Fenerbahce to victory? Zenit St. Petersburg meanwhile fights for the championship in the Russian Premier League. As leaders, there were two bitter failures before the winter break, which ensured that the competition could catch up. Before it goes into the championship race at the beginning of March, it comes now to the knockout stage in the Europa League. For Zenit has qualified with mixed performances in the group stage as a season winner. With the traditional club from Istanbul, however, the team of Semak was not exactly optimally caught. In the first leg Zenit wants to ensure a good starting position, so in front of home backdrop the ticket for the next round can be solved. After winning nine home wins in a row, Zenit lost the home game against Rubin Kazan at the end of the first half. The preparations in the new calendar year are already in full swing at Zenit. Six test matches have already been played in order to bridge the weeks without play. Away Zenit St. Petersburg could not really shine this season. In the last seven away games (across all competitions) there was only one victory. Most recently, three competitive games were lost in the distance in the distance, while Zenit conceded a total of eight goals. Really talks a lot at Fenerbahce vs. Zenit St. Petersburg for a prediction in favor of the guests not. After the departure of Leandro Paredes to Paris Saint-Germain Zenit has apparently found adequate replacement with Wilmar Barrios. In addition, Sardar Azmoun came from Rubin Kazan. From Shakthar Donetsk Zenit brought with Yaroslav Rakytskyi reinforcement for the defense. Daler Kuzyaev was recently injured in a training session and will not be available in the first leg against Fenerbahce. But big changes in the squad will not be made by Semak. Zenit will certainly feel the departure of top performer Paredes in midfield. How the team in the first competitive match after a long winter break will present, shows on Tuesday evening. Fenerbahce and Zenit St. Petersburg meet for the first time in their club history. In games against Russian teams, Fenerbahce showed off the domestic backdrop always from the best side. Not one of the four home games lost Fenerbahce. In 2015/16, the canaries were able to eliminate Lokomotiv Moscow in the knockout stage. A round later Fenerbahce was but after the FK Krasnodar closing time. Both teams are not in good shape before the important Europa League first leg. While Fenerbahce has destroyed a small uptrend with a weak dress rehearsal, Zenit St. Petersburg is playing their first competitive game after a long winter break. Although Zenit are currently leaders in the Russian Premier League, the season so far has been anything but planned. The mixed performances made especially noticeable to the first half of the season, as three competitive games were lost in a row. The balance in the knockout stage of European competitions is also not promising: Zenit lost 12 of the 14 away games in the knockout phase (EL and CL). Zenit lost the last three away games in a row and conceded eight goals! Since Yanal Fenerbahce took over, the offensive game improved significantly. It will be the first competitive game of Zenit in this calendar year. Fenerbahce will be able to count on the great support of their own fans. It’s going to be tough for Zenit in the cauldron of Istanbul, but an away goal has top priority. If Fenerbahce maintains defensive stability, a win against Zenit should be possible. Under Yanal, the offensive game of the “canaries” has improved considerably. We think that Zenit will also feel it and recommend Fenerbahce vs Zenit St. Petersburg tip over Fenerbahce’s 1.5 goals for which we choose to use five units.